"Disruption" exemplifies the business ethos of tech companies in the modern age, much as laissez-faire and "pile 'em high, sell 'em cheap" personified other periods. But while disruption might be great for minimally staffed startups taking on what they see as flabby "legacy" companies, consumers accustomed to benefits like customer care might feel differently. So it is with shifts in national or city-wide financial structures. Disruptions to long-standing economic customs, which have come to feel inevitable and therefore dependable, make people anxious about their place in the world. No one will ever argue that coal mining is a fun job, yet the loss of mining jobs through free-market competition devastated many communities in northern England and Appalachia. So disruption is not the unalloyed good that some tech evangelists make out. And with China having an ever-increasing effect globally, how is the world responding? One of the most noticeable effects for local residents is in real estate. Chinese have been buying increasing amounts of property in locations like London, Vancouver, California and Australia, for various reasons - sometimes as investment, sometimes for their children to have a place to live, sometimes in an attempt to diversify and secure their assets. Transaction volumes for purchases in major Western markets hit $30 billion in 2015, double the levels seen in 2014. These are major shifts. 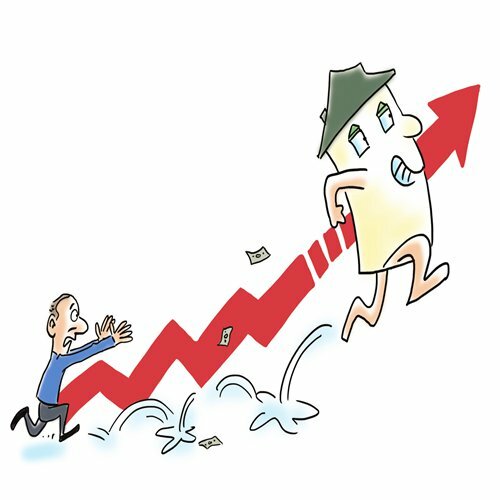 So how are people abroad reacting to the waves of Chinese real estate investors? What effects are they having? London has long been an attractive place to buy property - if you can afford it. Hemmed in by a Green Belt, and with onerous building requirements making it the world's most expensive place to develop property, London's inadequate supply forces prices ever higher, making real estate seem a one-way bet. Chinese buyers in premium West End locations comprise around five percent of the total. But, alongside significant investment from Russia and the Middle East, this has led to properties lying empty, pricing out local would-be buyers and atrophying local communities. London's newest mayor Sadiq Khan has condemned this, saying, "Nobody is against people investing in London trying to get a good rate of return. The issue is using our homes as gold bricks for investment. People may want to invest in the wholesale side of building homes. That is in stark contrast in buying homes off-plan as an investment which are left empty." He also pledged that more than half of some new housing developments would have to be "affordable," as defined by the London living rent (which is around one third of average incomes), and also said that new homes may have to be marketed locally for at least six months before they could be purchased by foreign investors. London's openness to international investors, in real estate at least, thus looks to be significantly tightening. London's status as an international city, however, means there has been no backlash against specifically Chinese buyers, who are merely the latest to seek London's welcome. Vancouver on the other hand is a much younger city. Yet it is also highly cosmopolitan, and with one of the world's largest Chinatowns, it has long been a desirable location for wealthy mainlanders. However, the effects of Chinese buyers on the market have been significant, and engendered opposition and resentment. The National Bank of Canada estimates that Chinese buyers may have spent up to CAD$12 billion on Metro Vancouver property in 2015, accounting for a third of all sales. Consequently, prices have been rocketing, rising 32 percent this year up to June, with an average home costing CAD$1.4 million. Rental vacancies are less than one percent, causing protests from the young and those who cannot afford to buy. As a smaller city, with 600,000 in the urban area and 2.4 million in the Metro area, compared to London's urban population of 9.8 million, Vancouver is more greatly affected by Chinese buyers. Vancouver does not have London's long experience of absorbing wave after wave of wealthy incomers. Resentment is on the rise, with the latest wave of Chinese migrants disdained as fuerdai, the mindless second-generation rich, or uncouth mainlanders compared to the previous generation of migrants from Hong Kong, or as shadily corrupt (where did that all that money come from?). Either way, on July 25, the British Columbia government announced a 15 percent transfer tax on foreign nationals buying property in the Metro Vancouver area. This immediately pricked the real estate bubble, with prices falling 20.7 percent over the next 28 days and declining 24.5 percent in three months. Few would cry, except those buying speculatively - though it's unlikely they would garner much sympathy. The disruption wrought by waves of hot money and new generations of Chinese migrants has seen London and Vancouver grappling as best they can with surging prices, declining neighborhoods and new ethnic compositions. The history of the world is, to some extent, the history of population movements. Here is a new chapter being written, encompassing individual ambitions and broader social and economic developments. No one should think it will be easy.